Digitally simulated laboratory assessments (DSLAs) may be used to measure competencies such as problem solving and scientific inquiry because they provide an environment that allows the process of learning to be captured. These assessments provide many benefits that are superior to traditional hands-on laboratory tasks; as such, it is important to investigate different ways to maximize the potential of DSLAs in increasing student learning. This study investigated two enhancements—a pre-laboratory activity (PLA) and a learning error intervention (LEI)—that are hypothesized to enhance the use of DSLAs as an educational tool. The results indicate students who were administered the PLA reported statistically lower levels of test anxiety when compared to their peers who did not receive the activity. Furthermore, students who received the LEI scored statistically higher scores on the more difficult problems administered during and after the DSLA. These findings provide preliminary evidence that both a PLA and LEI may be beneficial in improving students’ performance on a DSLA. Understanding the benefits of these enhancements may help educators better utilize DSLAs in the classroom to improve student science achievement. The online version of this article ( https://doi.org/10.1007/s10956-018-9763-z) contains supplementary material, which is available to authorized users. This study was funded by Social Sciences and Humanities Research Council (grant number 435-2016-0114) to Dr. Jacqueline Leighton. Dr. Man-Wai Chu declares that she has no conflict of interest. Dr. Jacqueline P. Leighton declares that she has no conflict of interest. Informed consent was obtained from all individual participants’ parents/guardians included in the study. Student assent was also obtained from all individual participants included in the study. The ethics board approvals from the institution where the corresponding author worked (No. Pro00040790) and school district in which students were enrolled were obtained. Chu, M-W., Guo, Q., & Leighton, J. P. (2013). Students’ interpersonal trust and attitudes towards standardized tests: Exploring affective variables related to student assessment. 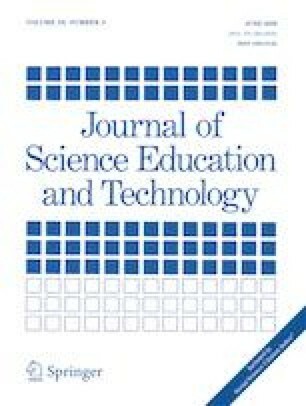 Assessment in Education: Principles, Policy & Practice, 21(2), 167-192. https://doi.org/10.1080/0969594X.2013.844094. Duncan, T. G. & McKeachie, W. J. (2005). The making of the motivated strategies for learning questionnaire. Educational Psychologist, 40(2), 117–128. https://doi.org/10.1207/s15326985ep4002_6. Leighton, J.P., & Bustos Gomez, M. C. (2018). A pedagogical alliance for trust, wellbeing, and the identification of errors for learning and formative assessment. Educational Psychology: An International Journal of Experimental Educational Psychology. https://doi.org/10.1080/01443410.2017.1390073. Ma, J., & Nickerson, J. V. (2006). Hands-on, simulated, and remote laboratories: a comparative literature review. ACM Comput Surv, 38(3), Article 7. https://doi.org/10.1145/1132960.1132961. Scalise, K., Timms, M., Clark, L., & Moorjani, A. (2009). Student learning in science simulations. What makes a difference? Paper presented at the Session on Conversation, Argumentation, and Engagement in Science Learning during the Annual Conference of the American Educational Research Association. Retrieved from http://works.bepress.com/michael_timms/18/.